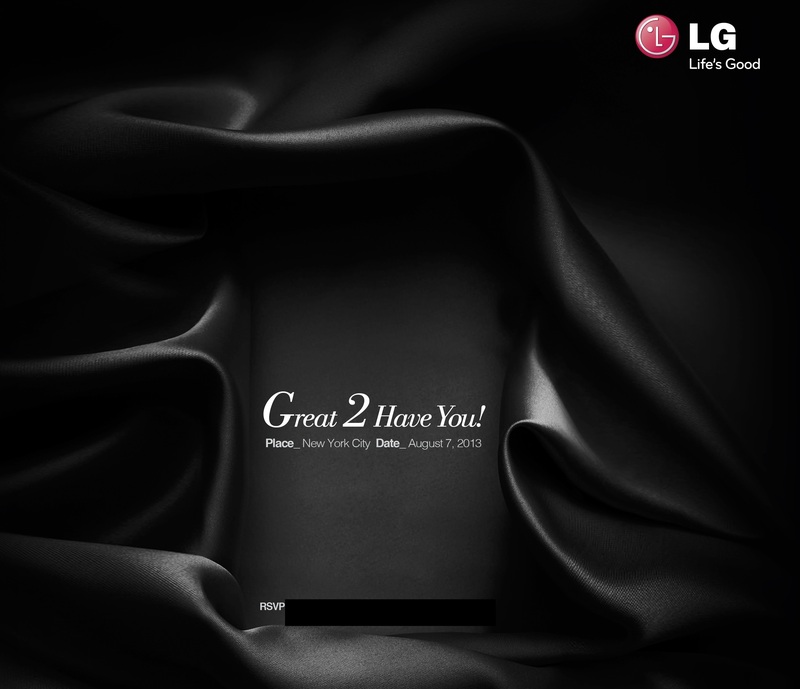 LG looks set to introduce its next flagship smartphone, the G2, in New York on August 7 according to the company’s latest and not-so-subtle teaser video — ‘To me, you are perfect. From G…’ — and event invite: ‘Great 2 Have You’. The NYC event has been public knowledge for more than a week, but LG is providing more color with these teasers. The Korean electronics firm has already given away one notable detail about its next device, which replaces the Optimus G series. A press release last month revealed that the smartphone — which LG merely referred to as the ‘Successor to Original G Series’ — will sport a Qualcomm Snapdragon 800 processor, raising expectations significantly. The newest chip from Qualcomm blitzes the competition (as Anand Tech found) and includes impressive multimedia specs. That support includes LTE-Advanced (the zippy 4G service currently available only in Korea), Ultra HD video capture and playback, screen resolution of up to 2560 x 2048 pixels, 1080p HD streaming over wireless and more. All of this, Qualcomm says, makes it 75 percent better performing than the S4 Pro processor — that, in turn, suggests the G2 could be a multimedia monster. LG is not revealing more or giving us glimpses of the device thus far. But the video makes it abundantly clear that the G2 is coming…to New York…soon. The most recent Optimus G release — the G Pro — was the first LG phone to feature a full HD screen and the high-end device is powered by a 1.7 GHz quad-core Snapdragon 600 processor. The Pro G hit 1 million sales in Korea in June, within four months of launch. Announced in February and already on sale in the US and parts of Europe, LG extended its availability across Asia earlier in the month.